Bold prints, strong graphic colors and feminine form. Graphic beach editorial cover story for MADAME magazine. 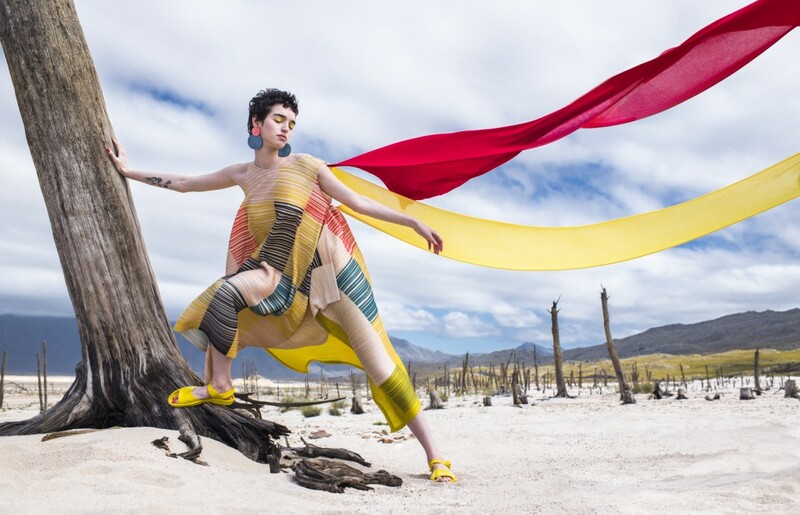 Julia Freitag and photographer Elizaveta Porodina capture colorful asymmetric and pleated dresses with multicolored graphic prints. Highlighting the SS18 trends in the breathtaking beach setting.